Andy Howard was born and raised in Wheaton, IL. He graduated from Taylor University with a degree in Business Management and a minor in Biblical Studies. Andy married his high school sweetheart, Kendra, in 2004. After working with his dad in the family business for almost 10 years, he felt God leading him to vocational ministry. In the Fall of 2013 he moved his family to Mesquite, TX, so he could attend Dallas Theological Seminary, where he graduated in 2017 with a Masters in Theology (ThM). 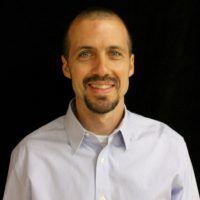 Andy currently serves full-time on staff at Centerpoint Church as the Pastoral Team Leader and a member of the preaching team. He and his wife Kendra, along with their seven children, currently reside in Mesquite. In his free time Andy loves camping with his wife and children, running, and playing sports.